Simon at Rutlandweb has done a fantastic job on designing and running our website. He is always quick to respond to and sort out any problems and his reliable and helpful approach, whenever support is needed, gives us great peace of mind. 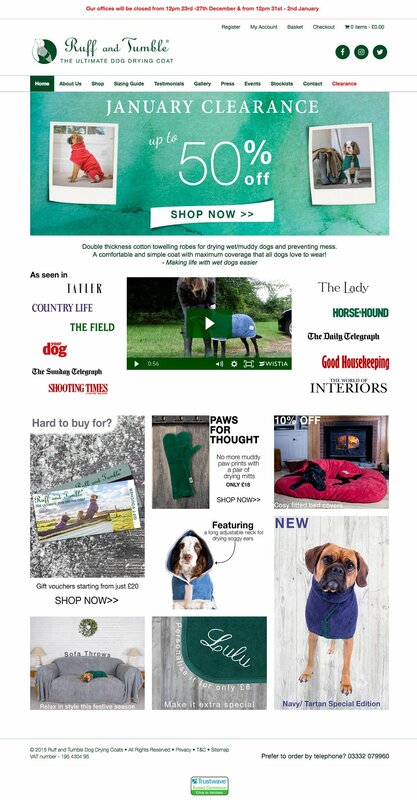 We at Ruff And Tumble would highly recommend Rutlandweb to anyone looking to run a successful and efficient e-commerce website.